So I brewed up a simple Amber that turned out nice. This was my first attempt at washing yeast and the picture shows what I ended up with. Basically three mason jars w/ about 25-30ml of yeast. So I have a question about using this washed yeast. I currently do three gallon batches and Mr. Malty states that I should use 66ml of yeast (the two sliders were left in the default position) for the next beer. Next beer will be the same amber, but w/ a little victory added to it (I've never brewed w/ victory so this will give me a good chance to see what it adds to the amber). OG for this beer is targeted for 1.054 and will also be 3.25 gallons. The washed yeast will be a week old, counting from the day I washed the yeast. 1. Just decant all three mason jars and pitch. 2. Just use one mason jar and make a starter. What size starter (I've never made a starter since all my brews have been 3 gallons < 1.060). As always, thanks for your advice and expert opinions. That depends, do you want to make three batches of beer with those three jars? is so, make a starter, doesn't have to be big, maybe 1 liter (1 liter of water 100 grams of DME) or just go the lazy route and pitch all three. it's not much of an over pitch. I'd say make a starter with 1 jar. 1. It will get the yeast going again and give you a better fermentation. 3. Second and 3rd and even beyond that, generation yeast usually performs better IME, so that stuff in the mason jar may produce better beers than if you used a fresh pitch of new yeast. 4. You will have an opporunity to wash the yeast from the new batch and make another culture and test to see that your sanitation is good, and compare a 3rd generation pitch to a 2nd generation pitch. Thanks for the suggestions! I think I will do a small starter w/ one jar. Gonna brew this Saturday so will get the starter going today. if you are confident in your sanitation it can be stored quite a while but you will probably need to step it up a couple times after months. if you want to store several varieties of yeast for the long term look into freezing. search the boards for discussion of this process. it involves glycol and very very cold freezers. Wouldn't it be cheaper to make slants for long term storage? I have to think a -20 freezer is pretty expensive. Vermont farmer: a'yuh, I gotta truck like that. Honestly? I have no idea. Never done it as it sounds like too much work but I always assumed they were just refrigerated. Rather than buying a special freezer, I'll just throw $7 or so at a new package of yeast every so often. even with slants don't you need a deep freeze for long term? Nope. Slants keep in the fridge and you reculture them occasionally. 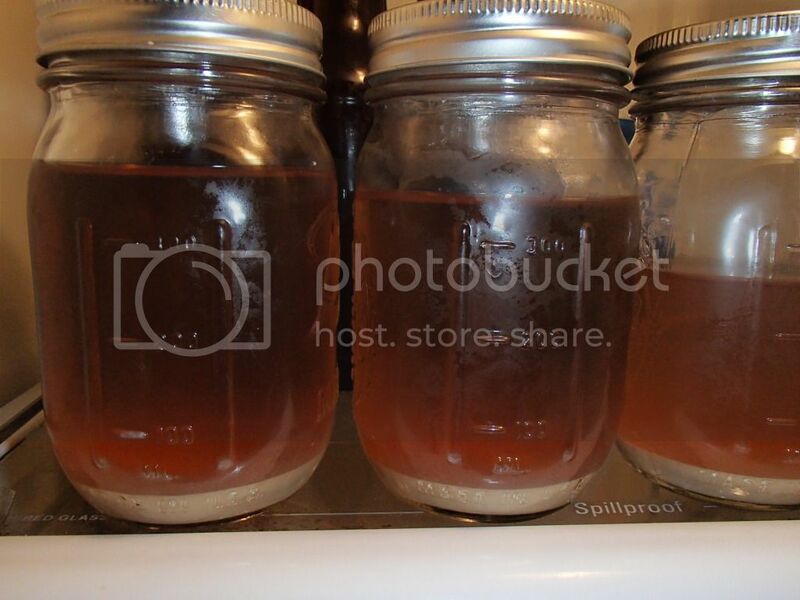 To freeze yeast, you mix it with glycerin.